Graduate, Pulaski High School; B.A. in Political Science and History, University of Wisconsin-Milwaukee; M.A. in Public Policy and Public Administration, La Follette School of Public Affairs, University of Wisconsin-Madison; Milwaukee Police Department Citizen Academy, 2018. Member: Sierra Club; Jackson Park Neighborhood Association; Story Hill Neighborhood Association; Milwaukee VA Soldiers Home Advisory Council; Milwaukee LGBT Community Center; Wisconsin Human Society. Recipient: Mothers Against Drunk Driving Legislator of the Year; Wisconsin Professional Police Association Law Enforcement Honor Roll; Wisconsin League of Conservation Voters Conservation Champion; several Wisconsin Environmental Decade Clean 16 awards; Shepherd Express Best State Legislator; Wisconsin Public Health Association’s Champion of Public Health; Coalition of Wisconsin Aging Groups Award for Service to Seniors; Wisconsin Professional Fire Fighters Legislator of the Year. Elected to Assembly 1984–2000. Elected to Senate since 2002. 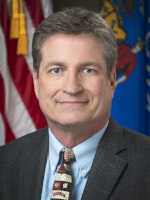 Leadership positions: Senate President Pro Tempore, 2011–2013; Assembly Speaker Pro Tempore, 1993–1994.